I thought I'd share a super easy turkey idea with you. Since we didn't have a crowd to feed yesterday, I decided to go simple. Instead of a large turkey, I chose a turkey breast instead. I actually got one at Sam's Club - about 6 pounds, boneless, skinless, fully cooked. But I had to doctor it up just a bit! 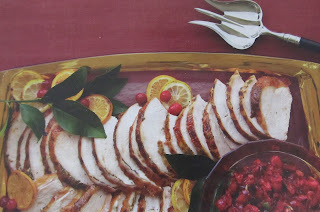 I found a recipe in Southern Living's November 2011 magazine that I modified for this bird! 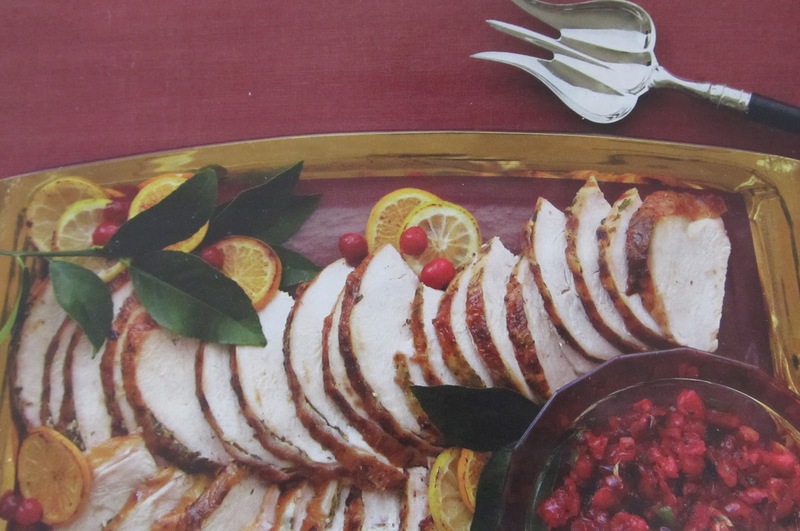 Place turkey in small baking pan. Stir together above ingredients and rub over turkey breast. Cover loosely with foil and bake at 340 degrees for about an hour. It was super flavorful and juicy tender! It even produced enough broth to add to my jar turkey gravy to give it some extra flavor! Somthing different - Super easy - So good! Looking forward to leftovers today! Hope you have some good leftovers to munch on today too! If not, stop by! Now serving lunch!